It makes perfect sense to spend your free time curled up on the sofa curled up with a good book or watching your favorite movie. However, you would not want to do this on a sofa covered in stains or sticky, mystery splotches. Unsightly stains and unpleasant odors can make your binge-watching experience less than ideal. No need to worry though. There are several ways to take care of this. We’re going to give you a few tips and tricks to clean your sofa to keep it looking brand new. Before you use any products on your sofa, it needs to be vacuumed. By removing the sofa cushions first and using the vacuum attachments to get into the narrow areas, you can get rid of larger particles. Food crumbs, pet hair, and even coins are all things that have a bad habit of falling from you and into the crevices of the sofa. A simple mixture of mild soap and warm water will work wonders to remove built-up dirt and grime on wooden feet. Metal legs can also be cleaned with soap and water or a cleaner that won’t streak the surface. What Type of Fabric Do You Have? O – The material for sofa is organic. Normally, it would be cleaned using only water. S – The fabric requires that you use only a detergent that is suitable for dry cleaning. W – This fabric will need to be cleaned using a steam vacuum. WS – For this material, you can also use a steam vacuum with a mild, water-based or dry cleaning detergent. X – This fabric needs more of a gentle touch and requires either vacuuming and brushing the sofa or calling in a professional to clean it. From DIY cleaners to industrial cleaning solutions, there are several ways that you can remove dirt and stains from your sofa. If you decide to go the more natural route, then you probably already have most of the materials that you need at home. Making your own sofa cleaner is often more eco-friendly and cheaper to produce than commercial products. Here are some of the most common solutions that you can create yourself. Be sure to spot test these solutions on a small area of the couch to reveal any discoloration. White Vinegar for Fabric: If you have a spray bottle handy, then you can make a sofa cleaner using a mixture of ¼ cup of vinegar, ¾ cups of water along with 1-2 tablespoons of mild dish soap. There is no need to soak the fabric with this mixture. Once you spray a light mist over the fabric, you can scrub out stains using a cloth. It is recommended to keep a separate dry towel on hand to pat the fabric dry. Shining Leather with Oil: For leather, you can create your own cleaner to remove stains and give the material a new shine. Combine ½ of a cup of olive oil and ¼ cup of vinegar into a spray bottle. You can then spray it on the sofa in small areas and rub it in using a cloth. 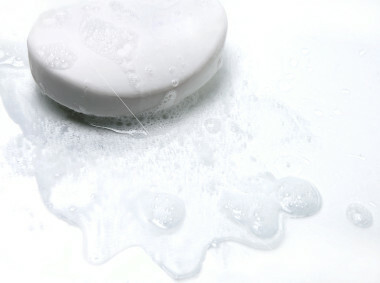 Castile Soap for Synthetic Fabric: Castile soap is an extremely mild soap that is used to clean everything from fabrics to the skin. This makes it perfect to use as a stain remover for fabrics such as microfiber. By combining ½ cup of vinegar and 1-2 tablespoons of castile soap into 1 cup of water, you can create your own quality cleaner. LIke the other methods, you’ll spray the stain and wipe it away using a soft cloth. Use Linseed or Flax Oil: You can also create a fabric conditioner that will revitalize your sofa using a mix of 1 cup of white vinegar with 1½-2 cups of linseed or flax oil. These can be purchased from most natural food or home improvement stores. This is a solution that should be left on the sofa for 8 hours before wiping it down again using a soft, clean cloth. If your sofa is made from a material that requires a steam cleaner to help maintain it, there are plenty of affordable options to choose from. Handheld steam cleaners are perfect for getting into smaller sections of the couch. Depending on the brand, the price range will hover between $40 to $60. 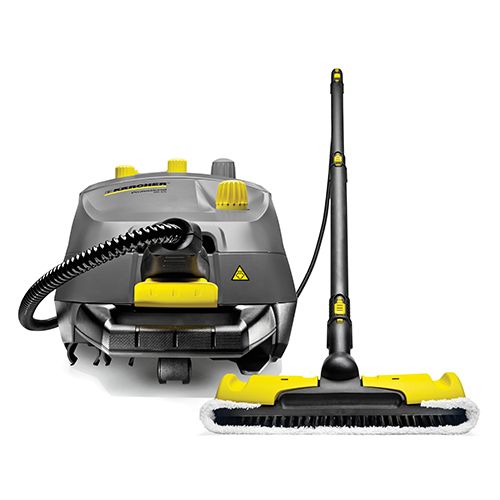 Steam cleaners from Hoover, Dirt Devil, and Bissell are some of the most top-rated brands currently on the market. When using liquid solutions to clean your sofa, it’s especially important that it fully dries out. Not doing so will cause mildew and mold to form leading to unpleasant odors. Granted that you aren’t soaking the couch with the cleaner, you are normally safe to let it air dry. However, if you feel like you’ve used too much solution or live in an especially humid area then consider using a fan to dry the sofa. Keeping your sofa clean and odor-free is something that you can easily do with materials found in the kitchen. You can save yourself a pretty penny by maintaining the overall appearance of your sofa. So now you can enjoy more time relaxing and lounging on the couch.